Newly renovated luxury hillside home, modern Spanish design. The earthy textures of the wood flooring complement the tile throughout and home architecture.. 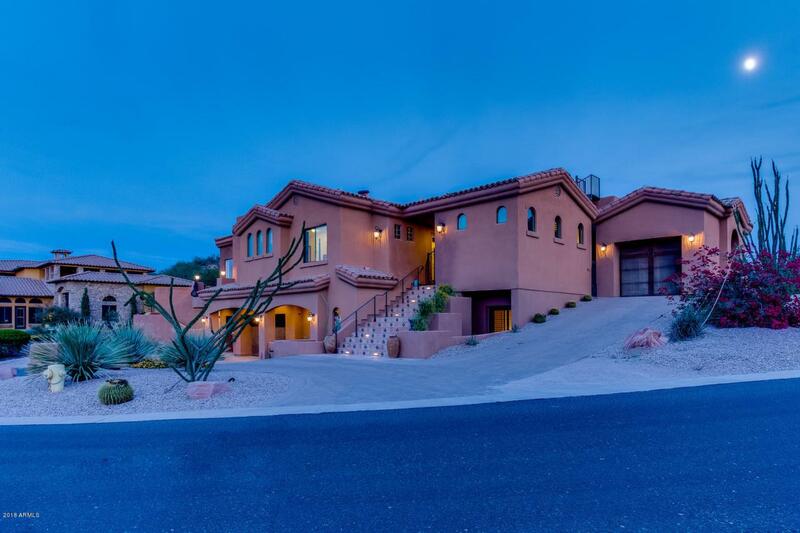 Stunning, elevated, 180 degree panoramic views of the Phoenix Valley, city lights, sunsets and mountains. 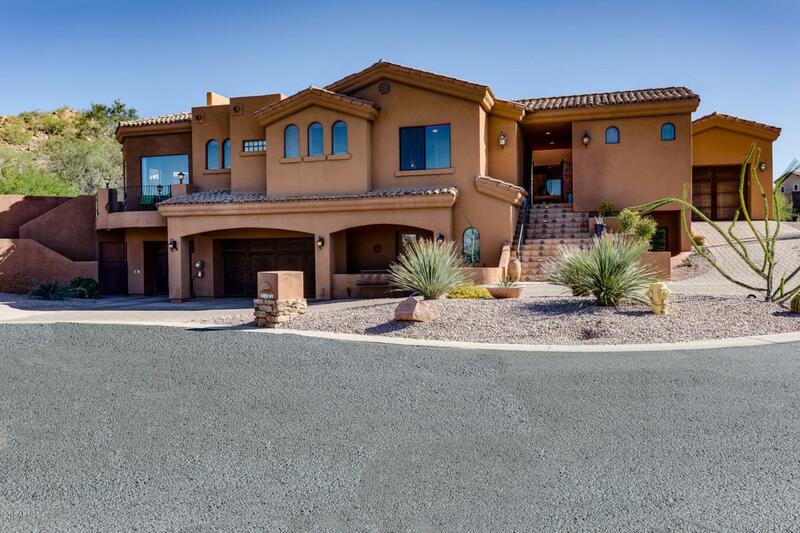 Private cul-de-sac located in the beautiful gated community of Sonoran Estates. Kitchen is a chef's dream with upgraded cabinets, refrigeration drawers, multiple sinks, two large islands. 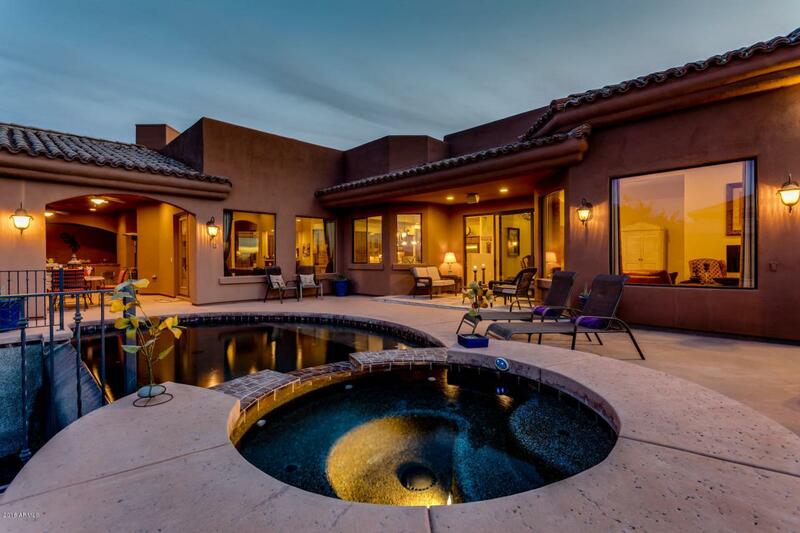 Large exquisite dining room opens to patio with negative edge pool, spa and fireplace. Wine room perfect for entertaining adjacent to kitchen. 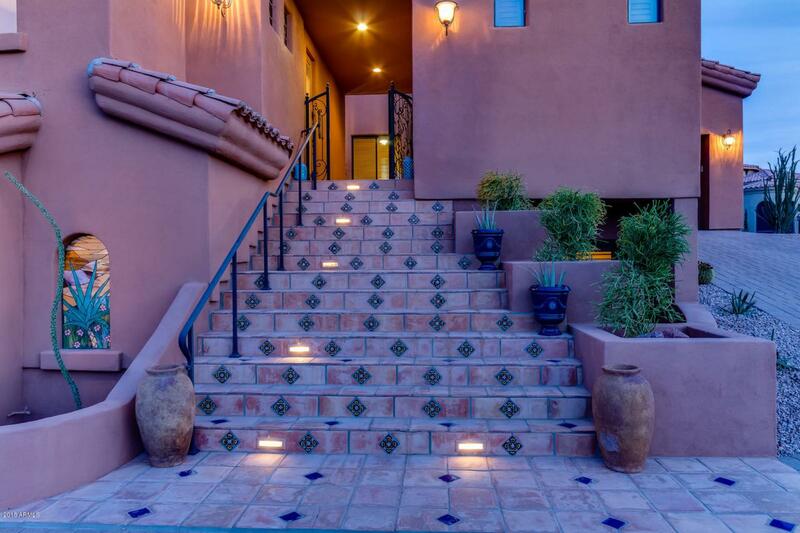 Detached Casita designed for a home office, full suite in basement for live in family members or vacation guests, both have separate entrances.